It's only 9:00 a.m., but Al Sparhawk is wide awake. Such is life when you're the father of a six-month-old. As young Hollis Mae Sparhawk lets out an exuberant squawk and her dad gushes on and on about the joys of fatherhood, it's clear the elder Sparhawk is no ordinary rock star. In fact it's hard to think of the music his band, Low, plays as having much to do with rock, let alone the trappings of the lifestyle. From its home base in Duluth, Minnesota, Low creates a minimalist, skeletal, slow sound some skeptics have deemed "snorecore". The group's no-frills instrumentation consists of Sparhawk's lone guitar; his wife Mimi Parker's snare drum, floor tom, and ride cymbal; and Zak Sally's bass. Low, with Ida and A Kite Is a Victim: Underground Coffeeworks, 105 Narcissus Ave, West Palm Beach. 8:00 p.m. Saturday, October 14. Tickets for the show cost $7. Call 305-261-7585. Low's songs are exercises in restraint; every note is carefully measured and Sparhawk and Parker's harmonies are hushed and reverent. The effect varies from depressingly dirgelike to upliftingly elegiac. Cavernous gaps between words allow time for daydreaming. Sparhawk even suggests that he and Parker -- both devout Mormons-- have allowed the miracle of their daughter's arrival to inform their art: "We just finished a new record, which was written pre- and postbirth," he explains. "I don't know if it's detectable but a good bunch of the songs make reference to childbirth." And he says the band's sound is now "not quite as somber. The new record sounds more like early Bee Gees and Zombies. A good handful of the songs could almost be considered chamber pop." Typical of Low, this progression has been a long time coming. The band's 1994 debut, I Could Live in Hope, was empty, spacious, and austere. The shimmering, echo-laden production came courtesy of producer-engineer Kramer, who'd lent essentially the same flavor to Galaxie 500. The cryptically lovely "Words" and transparently elegant reading of "(You Are My) Sunshine" mark that first chapter. Next came Long Division, a darker, more downbeat effort that is equally spare. The standout track is "Violence", a Sparhawk-sung masterpiece with an agonizingly maudlin guitar line. 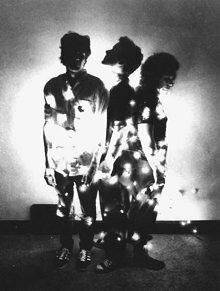 By this time the band was actively plying its trade across the country, sometimes opening shows for bands less than completely compatible (such as Soul Coughing) and dealing with drunken crowds neither expecting nor desiring glacially paced starkness, enchanting two-part harmonies, and pin-drop volume. "We still have some people who get a little anxious," Sparhawk says, "but we're used to it by now. But if you're having a bad night, the last thing you need is someone yelling 'Free Bird' or 'Back in Black' or something." The trio eventually decided to accommodate the Skynyrd request, playing a drawn-out, morose version of the freedom-rock anthem. "Once in a while we wax nostalgic for the days when everybody hated us," Sparhawk says. Nowadays that's reversed itself: Bands trip over one another to open for Low and its small but fervent fan base. Sparhawk reports receiving plenty of fan mail, especially when Hollis was born. "We get letters from people who are very moved by what we do -- really personal, overwhelming ones with stories about how our music has been a part of people's lives," he says. "It's very flattering and humbling at the same time. To have a good handful of people who feel that way about us is probably the best evidence to me that what we're doing is worth doing." The sound of shhh-ing is common these days at Low's concerts, where audiences expect and enforce silence. "It's definitely nice to be doing shows where people come and listen," offers the reserved, self-effacing Sparhawk. "We're able to do certain things that are very subtle, and we know that those things are being heard." He makes small talk with the crowd in a droll deadpan, while the stoic Parker stays quiet, except when she's angelically singing. Sally, who isn't religious, often will drink beer onstage or play with his back to the audience. "We knew when we started that most people would not be that into what we were doing," he says, adding: "Actually part of the reason we started the band was to get that kind of reaction. We thought we'd piss people off with very slow, quiet, long songs -- just to annoy all these Johnny-come-lately alternative people. But it ended up being very fun to play, very satisfying and exciting to write songs using those elements." In 1996 the band recorded the Transmission EP (centered around a decelerated cover of the classic Joy Division song of the same name) with Kramer and Steve Albini, who was busy making hit records with Nirvana and Bush. Not until 1997's Steve Fisk-produced The Curtain Hits the Cast came the first hints that Low might not be conceptually strapped to the slow, simple, and soft m.o. forever. "We have to change," Sparhawk says. "Most of our time and energy is spent trying to walk that thin line between redundancy and going out of our way for the sake of going out of our way." The shimmering "Over the Ocean", for instance, ventures into orchestral territory, and the nearly fifteen minutes of "Do You Know How to Waltz?" wanders through a perilous thicket of reverb. The band's label, Vernon Yard Recordings, dropped Low later that year but released a remix album titled Owl in 1998. As Sparhawk points out, the record was produced "with our approval but not with any of our involvement." Turning Low's majestic hymns into dance trinkets is virtually a thankless task: Bronski Beat's Jimmy Somerville has his way with "Words", spinning it into a confectionary bauble, while Tranquility Bass gussies up "Over the Ocean" with hip-hopperies and horns. When Low resurfaced on Chicago indie label Kranky that same year with Songs for a Dead Pilot, Low took even more liberties with its formula. Adding judicious strokes of keyboards and strings, the band retained its powerful impact while expanding its palette. "Be There" is as icy as cracked water pipes in December, with an edgy sense of foreboding. Maybe northern Minnesota influences the chilly music and accounts for Low's economy of means? "We grew up there," Sparhawk says. "We don't know any different. But it is a pretty long, gray, brutal winter. We usually get ten days in row that are twenty below zero." Secret Name from 1999 (again recorded with Albini) relies on strings for emotional drama once more, with the delicate "Two-Step" and Parker's heartbreaking "Weight of Water" ascending to the top of the band's canon of greats. Last winter Sparhawk and Parker played their trump card: Christmas, a seasonal gift containing faithful takes on "Silent Night" and the like as well as some heartfelt originals. They also dropped their guard, lyrically speaking. Whereas "Two-Step" began with the puzzling line, "And the light burns your skin/In a language you don't understand", the band swung to the opposite direction for Yuletide. "We are musically very naked," Sparhawk explains, "but we aren't really about opening our souls." Until Christmas, that is. What band but Low could, without even the faintest whiff of irony, title a tune "If You Were Born Today (Song for the Little Baby Jesus)"? Sparhawk envisions the scenario thus: "They'd kill you by age eight/Never get the chance to say/Joy to the world/And peace on the earth." Utterly devoid of self-consciousness, the song is moving for believer and heathen alike. "When the Christmas record came out, that kind of opened the floodgates," Sparhawk admits. "I think a lot of people find it refreshing that we call a spade a spade and say, 'We're going to do some religious songs here, and it's because we mean it,' you know?" "Mormons aren't notorious for being fringe artists," Sparhawk continues. "Of course Mick Ronson from the Spiders From Mars was the one I lean toward. I know when I went to [Brigham Young University], I wanted to go see something rebellious and contrary. Unfortunately most people who go out and see shows are trying to get away from the religious part, sad as it is. There's the religious side -- you go to church and everybody's trying to be very proper, clean living and all this stuff -- and then there's the music that you go home and listen to that doesn't have anything to do with the religion. I guess there's some people in the church who are excited about the fact that we're a bridge between those two worlds. "It's always a struggle to be honest with yourself," he concludes. "But I don't feel like I have to listen to Donny and Marie to be a good Mormon." Hollis will thank him some day.